The Gojo LTX-12 Touch-Free Dispenser features a 1200 mL high-capacity design that requires fewer changeouts and is great for high traffic locations. This Hand Soap Dispenser offers touch-free, trouble free performance in a fresh white color. The LTX-12 Hands-Free Dispenser reduces the risk of cross contamination and germ spread by eliminating a shared touch surface. Simply wave your hands under the sensor and a portion controlled amount of hand soap is dispensed! Gojo Smart Electronics technology minimizes energy use per actuation, eliminating the need for battery changes in most installations. 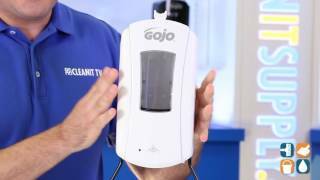 Gojo's automatic hand soap dispenser also features a large sight window & skylight to for at-a-glance product monitoring, eliminating the need to guess when a refill is needed. 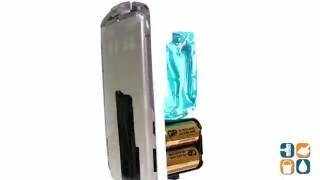 The Gojo LTX-12 comes with 3 "C" alkaline batteries already installed. Looking for a reliable, hygienic soap dispenser for your location? The Purell LTX-12 Hand Touch-Free Hand Soap Dispenser is ideal for use in any high traffic area. Get yours today!